Hey Hikari! I just wanted to say that I really liked your interview, and that Imaginary Reads is a great blog. I'm also looking forward to The Future of Us and Insurgent -- such great authors! Thanks for having me, Natalie! I hope whoever reads this will get something from it. Thanks Hikari for agreeing to be my expert this week. Your answers were fantastic. Thanks for this great interview with Hikari. It was so interesting to read about getting books in Hong Kong. I live in Canada, and sometimes it can be a little difficult getting books over the border from the U.S. After reading this interview, though, I feel very lucky! I just read NEED last weekend, so your contest came at the perfect time. I nibbled at the spoilers and read the goodreads description. OMG, I need to read book to right away. I think I might go mad without my public library. Hikari, thank you for sharing your passion for books! Fascinating interview, Natalie! Hikari, that's such a shame that you don't get many ARCs and that new books are so hard to come by. I'm looking forward to INSURGENT too! Hikari is rad! I love her. Such a cool perspective from the other side of the world! I'm sure many authors would love to go to Hong Kong, but maybe the expense is keeping them from it. I love your dedication to reading and blogging - it's inspiring! Not entering to win, just amazed she's such a young book blogger, because her 'voice' is so adult. I keep forgetting about Story Siren even though I see it mentioned everywhere. The danger of blogging is that your TBR list never stops growing. I keep finding so many great books I want to read. Great interview . . . but sad about how hard it is for you to get the books you want. Or authors to visit . . . maybe a skype author visit ???? Very impressive interview. Todays teenagers are truly amazing and intelligent! Thank you, Natalie for this fab interview! Congratulations to Cathe Olson for winning the giveaway of entice! Happy Thanksgiving! 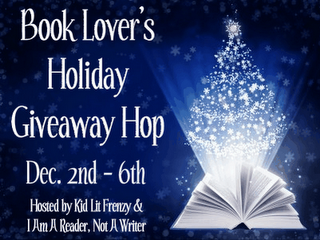 I'm celebrating Friendships this Thanksgiving on my blog with goodies and book giveaways! Hope to see you there! Nice interview! Loved to read it! And great ARC!!! Great interview with Hikari! I am so sorry that she hasn't had any author visits to her school. For me and my students (when I was a teacher) it was so inspiring to meet authors. That was before I really got on line and met people. I'm so glad you were able to introduce us to Hikari, Natalie. What a great (and fascinating) interview!!! The Handmaid's Tale is one of my favorites!! Super cool interview! I'm so impressed at how articulate this ninth grader is, and how passionate. Love it! I really loved Hong Kong. It's probably my favorite international city. I think it's awesome you know so many languages! My husband and I taught at international schools in Asia and considered Hong Kong. I'm anxious to check out your blog. Fantastic interview, Hikari and Natalie. Hikari, I'm so glad you're able to access more books with e-books now. Voracious readers need reads! It sounds like you have a really bright future ahead. So great to meet you! Better to leave a comment late rather than not at all, right? ^_^ I loved reading this interview and getting the persceptive of a teen. Thanks Hikari! And thanks Natalie! Amazing interview! I would love to win a copy of this book! So great to see a voice behind the blogs! Great interview.. I like IR too! 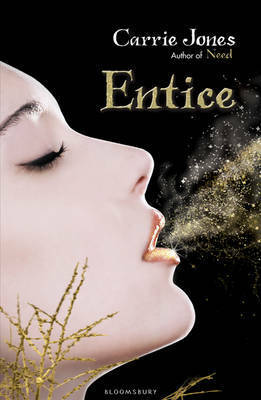 I do follow gfc and thank you for the chance to win Entice! Loved the interview Hikari. You are an excellent example of a role model for young teens. Thanks for a great giveaway. I really want to pick up this series now. I love the cover, it is so pretty and the blurb is really interesting. I have NEED sitting on my bookshelf staring me down at this very moment. :) Would love to get my hands on this one too! What an impressive young blogger! And it's really sad that there isn't a local library you can go to! :-( But hopefully your blogging will help to connect you to more books! I'm a new follower via GFC (MamaHendo3).